Walnuts: A recent study in the Journal of the American College of nutrition found that a daily dose of walnuts helped reduce blood pressure when participants are asked to give a speech. 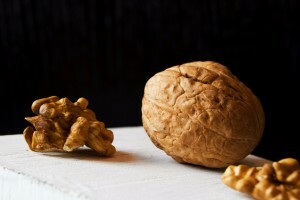 Walnuts are rich in many nutrients that may help reduce your vascular reaction to stress. In this study, when participants were asked to give a speech, the group who had eaten walnuts beforehand, had lower blood pressure than the group that did not. Almonds and Almond Oil: Almonds contain healthy fat, plus riboflavin and L-Carnitine which are good for brain health. Almond oil is beneficial to the nervous system and is associated with a decrease in anxiety. Yoga or Walking for Anxiety Relief?